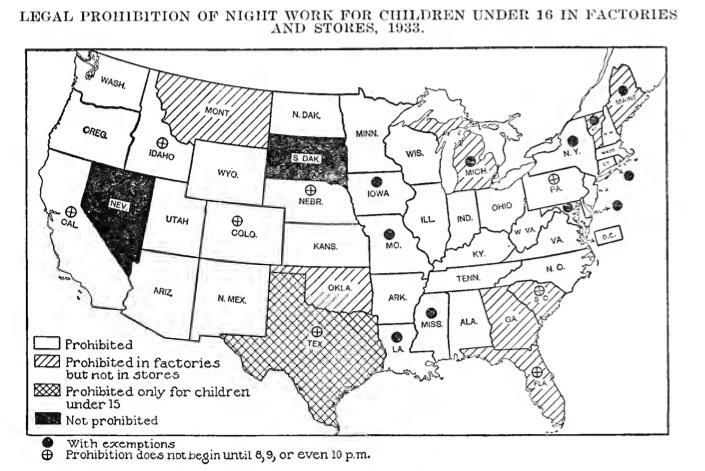 These maps, which come from a 1933 Department of Labor report on child labor, document the uneven effects of state laws regulating the employment of children and teenagers. 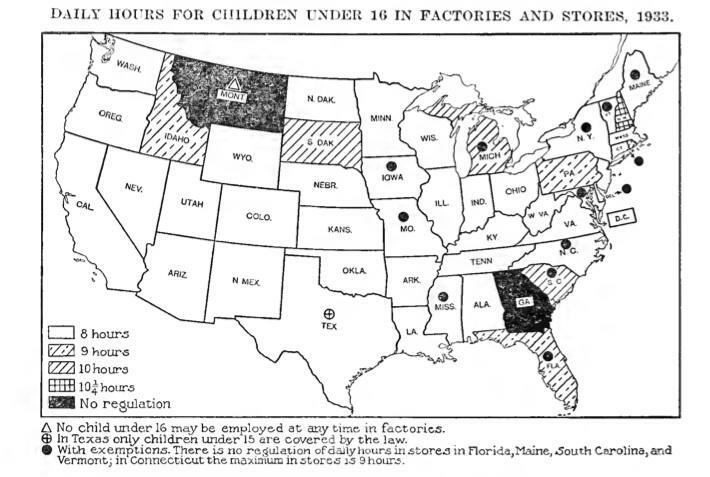 During the first decades of the 20th century, progressives sought to regulate what they saw as exploitative employment of poor and immigrant children. Photographers such as Lewis Hine documented impossibly tiny newsboys, textile workers, and field hands, making a visual appeal to middle-class Americans, who were properly horrified. The report also found that African-American and Latino children were much more likely to work than white kids. 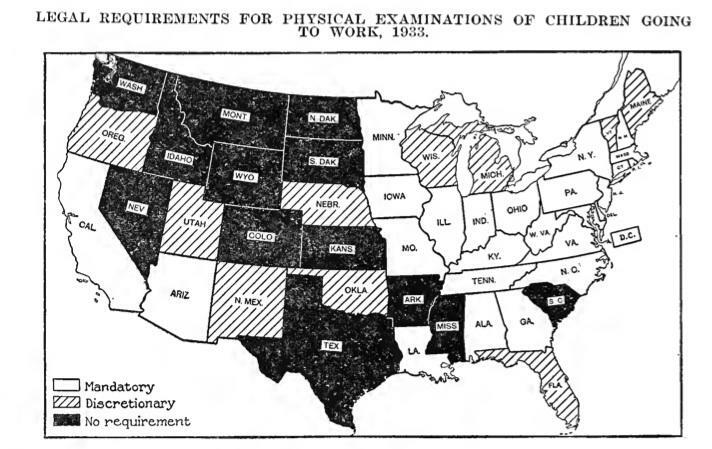 Southern agricultural states, where these populations were disproportionately located, registered by far the highest percentage of working children. 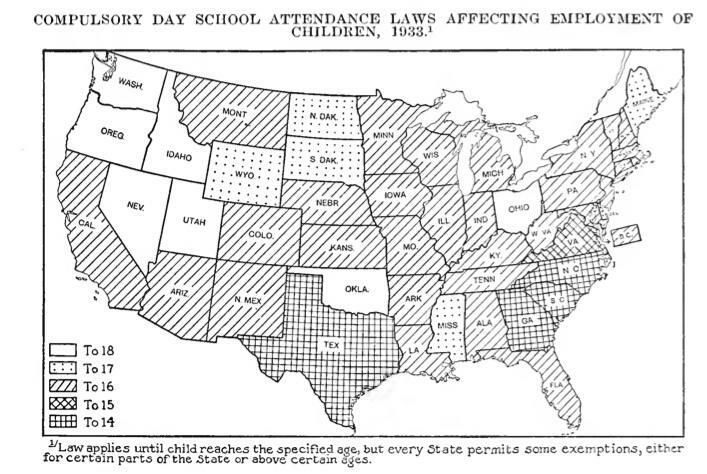 Child Labor: Facts and Figures. 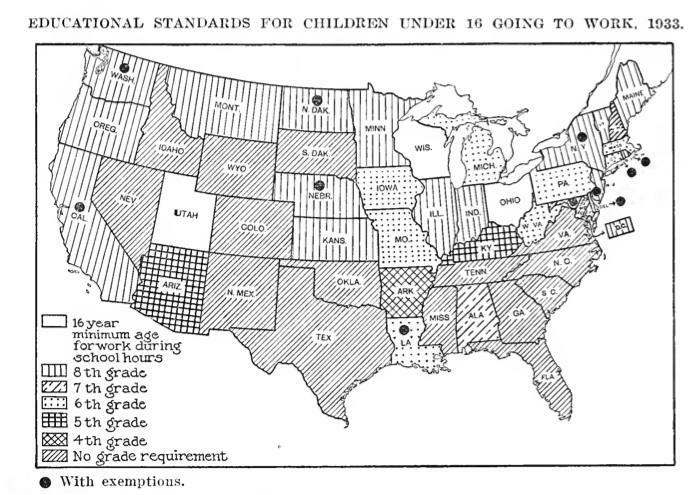 Report by the US Department of Labor’s Children’s Bureau, 1933.